A vote to choose the new president and executive committee of Nigeria's troubled football association was delayed on Tuesday after the apparent arrest of the election chief, witnesses said. The uncertainty over Samson Ebomhe's whereabouts is the latest in a series of scandals to hit the Nigerian Football Federation (NFF), which could face an eight-month FIFA ban if the vote does not take place. The 44-member NFF congress was scheduled to meet in the southern city of Warri with voting to elect a new leader set to begin at 10:00 am (0900 GMT). But one delegate, speaking on condition of anonymity, told AFP that Ebomhe, the election chairman, "has not been seen since this morning and so the elections cannot begin". Multiple witnesses said Ebomhe had been seized in his hotel room by officers from Nigeria's main intelligence agency, the Department of State Services (DSS). The DSS and police could not immediately be reached for comment.The NFF has been plagued by controversy since the end of the World Cup. Outgoing NFF President Aminu Maigari was arrested by security agents when he arrived back from Brazil in July and was later impeached by some of his executive committee members on corruption charges. FIFA then imposed an international ban on the grounds of political interference after a court sacked the NFF high command and the sports minister imposed a civil servant to take temporary charge. The ban was lifted after nine days and Maigari was reinstated because his dismissal did not follow laid-down procedures. But in August, the secret police detained him again, preventing him from attending an executive committee meeting where the owner of Nigeria Premier League side Giwa FC, Chris Giwa, took charge. That prompted Nigerian referees, clubs and players to boycott the domestic leagues and FIFA to threaten to again suspend the African champions if Maigari were not reinstated and fresh elections held. Football's world governing body has warned that any further breaches of election procedure will see Nigeria banned from international competition until its own annual congress next May. Maigari has ruled himself out of the election, with businessman Shehu Dikko, who helped arrange a tour by Manchester United in 2008, tipped as the front-runner. Former NFF general-secretary Taiwo Ogunjobi and Delta FC chairman Amaju Pinnick are seen as his main rivals. 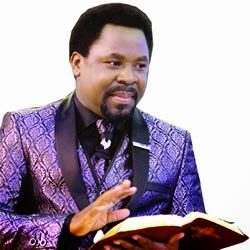 Two South Africans who lost relatives when a church hostel in Lagos collapsed have told the BBC they intend to sue Nigerian evangelist TB Joshua. The two men, who both lost sisters in the collapse, are appealing for more families to come together in bringing a case against the preacher. At least 115 people, including 84 South Africans, died when the multi-storey building fell down earlier this month. The authorities say it had more floors than its foundation could hold. On Sunday, Mr Joshua, who is one of Nigeria's best-known evangelists and is popular across Africa, announced plans to travel to South Africa to visit the families of the deceased. Emergency workers allege they were prevented from participating in the rescue, only gaining full access to the site on Sunday afternoon - accusations denied by Pastor Joshua's Synagogue, Church of All Nations (SCOAN). Thanduxolo Doro and Mpho Molebatsi waited at Johannesburg's OR Tambo airport for days after the collapse for news of their sisters, who had been visiting SCOAN. Both families had last heard from their relatives hours before the collapse, which happened at about 13:50 local time (12.50 GMT) on Friday 12 September. "It is not that the building collapsed, rather what was done after the collapse - we didn't get any news from the church," Mr Doro, whose sister Vathiswa Madikiza died, told the BBC. "When I contacted them they wouldn't tell me anything. We saw reports that emergency workers were denied access initially, access that could have saved lives. The actions of the church after the incident are very telling," he said. In an open letter published in South Africa's Star newspaper, Mr Doro called on more families to sue Mr Joshua. "I need to do this for her. Even if I stand alone, I am determined to see that something is done," he told the BBC. "I understand that some families are afraid to take on someone who purports to be God's messenger and I don't blame them but I will do this." Mr Doro says he was informed by South African officials about his sister's death this week, but has to wait for the results of DNA tests before her body can be repatriated for burial. He told the BBC that he had spoken to two families who were eager to join him in suing Mr Joshua, but no concrete plans had been made. He has not been in contact with Mr Molebatsi, whose sister Hlubi Molebatsi was also killed. Mr Molebatsi says he has contacted his lawyers. "I have spoken to other families but it has been difficult because this is a time of mourning. I would like to see families get something from the church as some of the people who died were breadwinners," he told the BBC. Some 25 survivors of the collapse are continuing to receive medical care following their return to South Africa. Officials say 16 of the wounded are in critical condition, with some having had limbs amputated and other complications. Gunmen stormed a higher education college in northern Nigeria on Wednesday, firing on fleeing students and setting off an explosion in an attack that killed at least 15 people and wounded 35, police said. There was no immediate claim of responsibility for the attack in the region’s main city of Kano, but the Islamist militant group Boko Haram, which has repeatedly targeted civilians in the north, is likely to be a prime suspect. A police spokesman added that officers arrived on the scene and killed two of the attackers. “We heard several shots from the gate area and after a few minutes we heard an explosion at the theater,” said Sansei Omar, who lectures in English at the federal government college and watched the attack from a neighboring building. Insurgents from Boko Haram, whose name means “Western education is forbidden”, are fighting to carve out an Islamic state in Nigeria. Western-style schools are a prime target for their attacks, which include several secondary school massacres and the abduction of 200 school girls in April from the village of Chibouk. 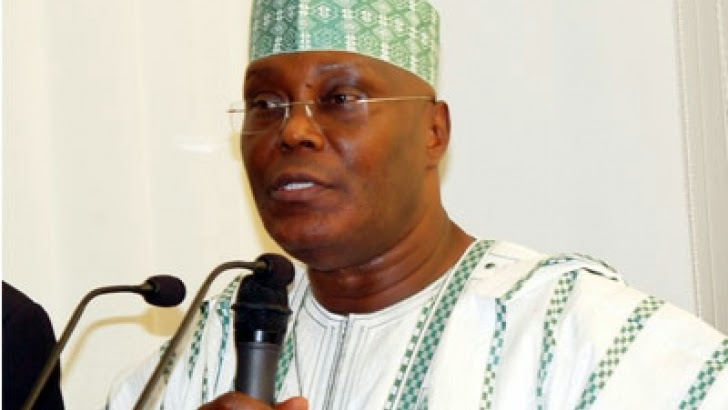 A former Vice-President, Alhaji Atiku Abubakar, has formally declared his intention to contest the 2015 Presidential election on the platform of the All Progressives Congress. Abubakar, at a ceremony held at the Yar’Adua Centre in Abuja on Wednesday, explained that his desire to become President was born out of the need to give back to the nation. Imo State Governor Rochas Okorocha and the Publisher of Leadership, Sam Nda-Isaiah, had also declared interest in the APC presidential ticket. A former Head of State and National Leader of the APC, Maj. Gen. Muhammadu Buhari (retd. ); Edo State Governor, Adams Oshiomhole, and Governor of Kano State, Rabiu Kwankwaso, have been reported to also have interest in the ticket. A confident Abubakar told his supporters during the ceremony that he had the capacity to bring people together and turn things around for the better in the country. He pointed out that the glaring mismatch between “our potential and our achievements provides a golden opportunity” for him to lead Nigerians to rekindle their innovative instinct and turn the Nigerian dream into a reality. He explained that in spite of many challenges faced by Nigerians, they had refused to give up on the country. The former Vice-President said the 2015 elections were about Nigerian youths and the nation’s future. He stressed that the nation, under the current administration, had failed to provide the required environment for the youth to reach their full potential. The former vice-president said, “It is inspiring that amidst difficulties and growing anxiety over the future of our country, our people have refused to succumb to despair and hopelessness. Reacting to the agitation for generational shift, he said his generation owed younger Nigerians the responsibility of offering its political shoulders to them to climb upon. This, he said, was necessary to improve their vision and expand their horizon. He noted that it was this trans-generational collaboration and partnership that represented the best model to create the future that the nation desired and deserved. Nigeria, he said, should never again be subjected to leadership experimentation or learning on the job. He recalled that the Olusegun Obasanjo administration which he was a part of successfully reformed some critical sectors of the economy such as telecommunications and the capital market. Abubakar said, “As Vice-President from 1999 to 2007, I worked closely with my boss, Chief Olusegun Obasanjo, who is a passionate defender of Nigerian unity. “We focused on macro-economic stability and transforming critical areas such as banking, insurance, oil and gas, telecommunications, pension and the civil service. He said the Obasanjo administration was able to deliver because it had vision, commitment and dedication . He argued that resentment, disillusionment and hopelessness were the factors on which insecurity and disharmony thrived. While commending the leadership of the APC for adopting the modified open primaries in selecting its flag bearers at all levels, Abubakar said the party remained the most potent political force to end years of PDP’s dominance of the political space. The leader of the National Assembly caucus of the APC, Senator George Akume, who spoke on behalf of other party leaders at the event, said the APC has within its ranks, the men and women who have what it takes to rebuild Nigeria. Meanwhile, three politicians and two lawyers have separately asked a Federal High Court in Abuja to stop Jonathan and Vice-President Namadi Sambo from re-contesting in 2015. The plaintiffs argued in their suits that by the virtue of constitutional provisions, the President and the Vice-President, had previously been elected for one single term of four years. Two politicians – Adejumo Ajagbe and Olatoye Wahab – filed the first suit while two lawyers and another politician filed the second on September 19 . The lawyers are Mase Acho and Saeeq Sarki. The third is Murtala Abubakar. Ajagbe, who claimed to be a member of the PDP in Lagos State, and Wahab, a member of the APC in Ogun State, said they were presidential aspirants whose interest would be jeopardised if Jonathan and Sambo were not barred. The two plaintiffs, who engaged the services of four Senior Advocates of Nigeria, joined the Independent National Electoral Commission and the Attorney General of the Federation as defendants. The SANs are James Ocholi, A. J. Owonikoko, Okon Efut and Mahmud Magaji. The suit marked, FHC/ABJ/CS/662/2014, was assigned to Justice Ahmed Mohammed but the two defendants have yet to respond to it. The plaintiffs argued that by virtue of the oaths taken by Jonathan and Sambo following the death of President Umaru Yar’adua in 2010 and their subsequent re-election in 2011, both of them were deemed to have completed the two terms allowed by law. Their statement of claim read in part, “That being so, the reference to ‘two previous elections’ in Section 137(1)(b) of the Constitution includes two previous oath of allegiance and oath of office as President. Hundreds of Islamic extremists have surrendered in Nigeria and neighboring Cameroon following the military’s recent victories with air and ground attacks, military authorities said Wednesday. The Nigerian Defense Ministry has said it has killed hundreds of insurgents recently in the country’s northeast. Several militant commanders were among the dead including Mohammed Bashir, whom the Nigerian military identified as a double who posed in videos as Boko Haram leader Abubakar Shekau, a military statement said Wednesday. 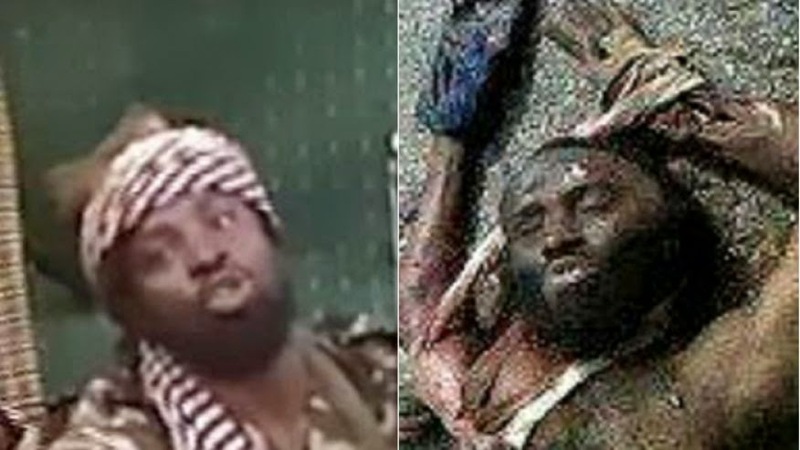 The military has claimed Shekau was killed in battle last year. Nigeria’s military said it was victorious around Konduga town just 35 kilometers (22 miles) from Maiduguri, birthplace of Boko Haram and the headquarters of the military offensive to contain the Islamic uprising. “It became apparent that the terrorists ... were determined to take over communities around Maiduguri, which is their prime target,” the statement said, adding the insurgents made four attempts to take Konduga between Sept. 12 and 17. It said 135 insurgents surrendered Tuesday night, some at Buni-Yadi some 200 kilometers (125 miles) west of Konduga and others at Michika, 165 kilometers (100 miles) south of Konduga. Cameroon’s defense ministry said more than 300 Boko Haram fighters have surrendered there in the past three weeks. Spokesman Lt. Col. Didier Badjeck told The Associated Press that the militants have given up their arms and asked for asylum in Cameroon. Their fate has not been decided. Fighters from neighboring Cameroon, Niger and Chad have been identified fighting alongside Nigeria’s homegrown Boko Haram group, which in recent weeks also has been attacking border towns and villages in Cameroon. Boko Haram had seized a string of towns and declared an Islamic caliphate in a corner of northeast Nigeria before the setback suffered at Konduga. The Nigerian military has confirmed that one Mohammed Bashir, who has been acting or posing on videos as the deceased Abubakar Shekau, the eccentric character known as the leader of the Boko Haram sect, was killed in a counter-terrorism operation in the north-east. In a statement, the spokesman for the military, Major General Chris Olukolade, said that Mr Bashir was killed after members of the terrorist group made not less than four attempts between September 12 and 17 to violate the security strategy and enter Konduga to attack citizens in the area. “Air and land forces were subsequently deployed to handle the situation. “The convoy of combat vehicles typical of terrorists’ mission that involves their top commanders, were fiercely engaged by the land and air forces. Several of the terrorists including some of their commanders lost their lives in the encounters which lasted an average of about four hours each, leading to the death of the man claiming to be Mr Shekau,” the statement read. According to Mr Olukolade, the troops captured some of the terrorists and their equipment. He explained in the statement that “after normalcy was restored, inhabitants of the community, who were victims of terrorists activities corroborated information on the identity of Mr Bashir, alias Abubakar Shekau, alias Abacha Abdullahi Geidam and alias Damasack”. He emphasised that the recent devastation on the leadership of the insurgents was as a result of the renewed commitment to the mission of eradicating terrorism in Nigeria. The military warned that “since the name Shekau had become a brand name for the terrorists’ leader, it would remain resolute to serve justice to anyone who assumes that designation or title as well as all terrorists that seek to violate the freedom and territory of Nigeria”. The Defence Headquarters also applauded the gallantry of the Nigerian troops who had remained undaunted and professional in prosecuting the campaign against terror. It also mentioned that the keen interest exhibited by Nigeria’s neighbours and allies had been commendable, reassuring all allies in the war against terrorism of the Nigerian military’s resolve to maintain momentum in the efforts to decimate and defeat terrorists. The military further stressed the need for all Nigerians to be alert, vigilant and cooperate with security forces in the war on terror campaign. Meanwhile, a total of 135 terrorists on Tuesday evening surrendered along with equipment to troops around Biu Local Government Area in Borno State. According to the military’s statement, a group of 88 submitted themselves at Mairiga/Bun-Yadi while another group of 45 terrorists were taken in around Mubi-Michika. They are all being interrogated and processed in conformity with the dictates of standard best practices. Nearly 50 Nigerian parliament members have angrily left the legislature’s lower house after a motion to probe a huge cash arms deal worth $9.3 million with South Africa was blocked. The Tuesday development came after South African police announced last week that its customs authorities seized cash funds in 100 dollar bills in three suitcases, which arrived on a private jet from Nigeria at Johannesburg’s Lanseria airport earlier in the month. South African authorities then seized the cash-filled luggage after two Nigerians and an Israeli carrying them did not declare the money, according to local press reports. The three individuals with the funds, however, were not charged with any wrongdoing by the authorities. No explanation has been released so far about the Israeli connection to the cash weapons deal, apparently between the Nigerian government and South Africa. Meanwhile, the lawmakers that stormed out of the parliament chamber were reportedly mostly from opposition parties, accusing the ruling People’s Democratic Party of blocking the motion to probe the arms deal through Deputy Speaker Emeka Ihiodioha. Ihiodioha has reportedly reasoned that since the weapons deal was an issue of national security, it could not be broached. This is while the upper chamber of the Nigerian legislature has also summoned the country’s security chiefs over the suspicious arms deal. However, it is not yet clear whether the security chiefs did in fact appear on Tuesday before the Senate Committee on Defense, which issued its summons last week. Correspondents say the revelations have shocked many Nigerians and there have been calls for an inquiry. Meanwhile, PRNigeria, which does communication consultancy for the Nigerian military and enjoys strong links with the country’s security agencies, cited a source as claiming that the money was for a legitimate government transaction to purchase weapons. Nigeria's military has told the BBC that some of the schoolgirls abducted from Chibok town in April by Islamist militants have been released. Army spokesman Brig Gen Chris Olukolade did not give details about the number of girls freed, saying the exercise was "ongoing". More than 200 girls were kidnapped by Boko Haram fighters from a boarding school in the north-eastern Born state. Nigeria may be wracked by Boko Haram and the threat of the dreaded Ebola virus, but the entertainment industry is booming in the largest economy in Africa. The Nigerian film industry, popularly called Nollywood, sells an estimated $800 million in mostly straight-to-video movies every year. What the films lack in production quality, they make up for in verve and melodrama–it’s hard not to get sucked into watching one if you happen upon one on television. The country also boasts a thriving independent press, and internet penetration is rapidly rising as the government pushes out broadband. Books, too, remain popular, led by the public intellectual and Nobel Prize Winner Wole Soyinka and the emergence of the national $100,000 NLNG Nigeria Prize– although a recent decision by the Finance Minister Ngozi Okonjo-Iweala to place a crippling tax on imported texts has limited their availability. Piracy is also a problem. On my recent trip to Nigeria, I purchased a few CDs at what appeared to be a fancy music store and they all turned out to be pirated, and even the distributors of Nollywood films pirate the films they are supposed to be selling. The comics scene in Nigeria has been thriving since the 1980s, but has yet to burst into the mainstream. There are tastes of what may soon emerge as youth in Nigeria fully embrace the internet—check out this sci-fi short on YouTube here, which includes an animated spaceship—but comics are still an emerging industry. 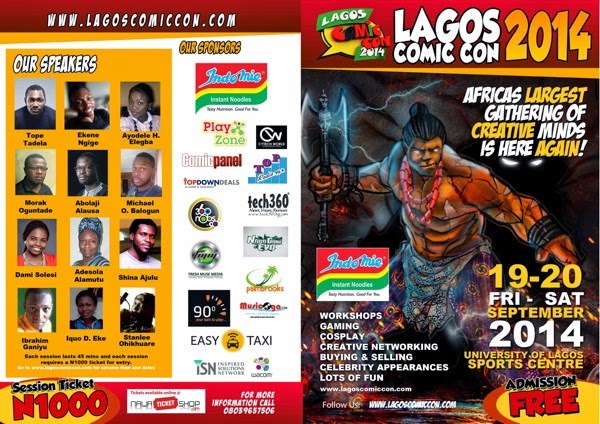 On Friday, the third annual Lagos Comic Con will launch in the commercial capital of 20 million people. I corresponded with comics creator and co-founder Ayodele Elegba about the event, where we wrote about attractions, popular comics, Ebola, and cosplay. Q: How did the Lagos Comicon get started? Elegba: The Lagos Comic Con began in 2012 when I realized that the comic medium was not appreciated by the Nigerian public like it used to be in the 80s while I was growing up. I had previously published a newsletter to raise awareness about the scene but the response was low and people kept asking me where they could get comic books and if there were comics created by Nigerians. I wanted to debunk the myth and show people that Nigerian Comics do exist and that we have comic artists and writers here in Nigeria. That was when I decided to start the Lagos Comicon, with no funds but a dream to make it an international festival. Elegba: This year the event is much bigger because we have included other genres of entertainment such as movies, games, and animations, which are like an extension of comic books. We will have a Comic Zone, where you can buy Nigerian Comics and meet African creators. We also have Nollywood Village: this is where you can buy Nigerian-made movies with an action/comics bent and meet A-list Nigerian film stars and music celebrities. We have the Game Zone, where we’ll run a competition this year called “Battle of the Game Lords,” where gamers will compete for a prize of over US$2000. We have an Arts and Culture Zone where we showcase fine arts, sculptures, paintings, and the beautiful culture of the Nigeria. We have a workshop session with 12 speakers who will talk about various genres of entertainment. Finally, we have the Kids Zone, where kids can play and have fun while their parents shop. We also have other segments like karaoke, exhibitions, dance performances and music performances from pop stars. Q: What are some of the most popular themes in Nigerian comics (e.g. scifi, history, romance, adventure)? Elegba: The most popular themes right now in Nigerian comics are magical or cultural, though we have superhero comics and military comics too. Q: Are there any topics that you won’t find in other countries? For example, there is a series on President Goodluck Jonathan. Elegba: Well Nigeria is unique, and there is a particular comic called Central Attack which deals with the issue of Boko Haram, the terrorist group in Nigeria. Q: Who are the most popular comic book authors and writers? Elegba: The most popular comic book artists are Ibrahim Ganiyu, Jide Olusanya, Stanley Obende, Mohammed Agbadi and many more. Writers include myself Ayodele Elegba, Wisdom Omon, Niyi, and Niran Adeniji. Q: Piracy is a problem in Nigeria for fiction authors and for films. Is this an issue for comics in Nigeria? Elegba: Right now there is no piracy in comics. Piracy dwells on the financial success of a products. Comics don’t have that yet. Q: Will scares about Ebola cause any issues for attendance? Elegba: I don’t think so. The Ebola scare has been well curbed by the Nigerian government and so far all cases of Ebola infections have been effectively quarantined and taken care of. We have also put in place measures for hand washing and sanitization at the event. We will be checking everyone’s temperature as they go into the hall. Q: How is the internet affecting the comics scene in Nigeria? Can you buy local comics online? Elegba: The internet is a developing media in Nigeria, but so far Nigerian comics are doing well. We have about five indigenous online comic stores in Nigeria now. Will there be any cosplay? Elegba: Sure, what’s a comic con without cosplay? There will be cosplay and there will be prizes for the winners. Efforts by the Nigerian military to procure US-made Chinook helicopters from Israel, to facilitate the movement of troops and the injured, have been blocked by the United States Government, THISDAY has learnt. This, among other issues, including the US’ refusal to provide Nigeria’s security agencies with timely intelligence needed to defeat Boko Haram insurgents who have been riding rough shod in the North-east, would form part of the discussions when President Goodluck Jonathan meets with US President Barack Obama in New York this week. Jonathan departed for New York on Sunday for the 69th General Assembly of the United Nations. The Chinook is a versatile and reliable American twin-engine, tandem rotor heavy-lift helicopter produced by Boeing. Its primary roles are troops movement, artillery placement and battlefield resupply. In a war where Boko Haram insurgents move in convoys through arid towns and villages, the helicopters are required to checkmate them, reinforce troops and supplies and recover dead and wounded soldiers. Although it has a number of variants and is used primarily for the transportation of troops, supplies and search and rescue operations, limited weaponry can be mounted on its door and window for the purpose of enemy attacks. However, according to defence and intelligence sources, attempts to buy the helicopters and other munitions from, first the US and other Western European countries, have proved to be an impossible task, thus compelling the military to resort to Israel and several retired members of the Israeli defense forces. Opening up on the challenges the Nigerian military has faced dealing with the procurement of arms for the war effort in the North-east, a knowledgeable official, who did not want to be named as he was not authorised to speak with the press, said: “The US government has frustrated Nigeria all the way in our war against terrorism despite its public statements in support of Nigeria, as it fights the Boko Haram insurgents in the North-east… They want us to fight Boko Haram with our arms tied to our backs. “They have refused to sell us arms and equipment and even our recent attempt to buy Chinook helicopters, which are manufactured in the US, from the Israelis was blocked, based on unfounded allegations of human rights violations by our troops. This is after the office of Prime Minister Benjamin Natanyahu had initially approved the purchase. “But because they were supplied by the Americans, the Israelis required a ‘No Objection’ letter from Washington which was refused. “We had even tried to procure arms from Russia but this was stalled because of the Ukrainian crisis, thus compelling us to turn to other nations like Israel. But even this has been frustrated by the US,” he said. He said it was not just in the area of arms procurement that US has been most unhelpful, adding that contrary to its public stance that it was assisting in the rescue operations of the abducted Chibok secondary school girls it has done nothing significant to help Nigeria in this regard. Other intelligence sources also cited the fact that the US has refused to share intelligence with Nigerian security forces in a timely manner. They said: “When we complained they started sharing some intelligence, but days after the fact when such intelligence is of little value. “They have blocked us from procuring the helicopters and would not provide us with intelligence despite the fact that they have several drones and sophisticated aircraft overflying the North-east of Nigeria from bases in Niger and Chad where the Boko Haram fighters and movements are clearly in their sights. Indeed, a security analyst who spoke to THISDAY on the issue said the US’ role smacks of double standards and questioned its intent over the Boko Haram insurgency. He warned that ignoring the threat of Boko Haram could be a strategy that could come to haunt the US in the future. He also wondered why the same US would refuse to assist Nigeria based on unsubstantiated claims of human rights violations, which the military has repeatedly denied and insisted are carried out by Boko Haram insurgents wearing Nigerian military uniforms, yet the same US turns a blind eye to the same human rights violations committed by countries like Israel. “Look at what happened in the recent war between Israel and Hamas in the Gaza strip. Israel repeatedly bombed school compounds and UN buildings and in the process killed scores of women and children. “Even the UN cried out against the targeting of its facilities by Israeli forces, yet the US did nothing and will continue to supply arms and ammunition to Israel to defend itself against Palestinians and other hostile neighbours in the Middle East,” the security analyst said. Efforts by THISDAY to get the White House to respond to the allegations were not successful. Two questions to the White House and the US National Security Adviser’s office which were unanswered as at press time are: The Nigerian military, through its agents, tried to buy Chinook helicopters for the prosecution of the war against terrorism, from Israel. But this was blocked by the U.S. National Security Council and the White House. If so, why was the procurement blocked? ; and the decision to block the procurement of the helicopters may have stemmed from U.S.’ concerns over human rights abuses by Nigerian troops who have been fighting the insurgents in the North-eastern part of the country. Does this not appear contradictory given the fact that the U.S. continues to supply equipment and ammunition to Israel, which is also accused of human rights violations in Palestinian territories? In a related development, as the news continued to spread about the possible killing of the leader of Boko Haram, Abubakar Shekau, or his body double who security forces insist has been impersonating the “real” Shekau for over a year, members of the terror sect have been thrown into disarray and are surrendering in droves to the Nigerian military. Whereas the security agencies are yet to officially name or confirm the names of some of the senior members of the sect who were said to have been killed or captured in recent operations in Konduga, Borno State, including Shekau or his alleged imposter, more suspected insurgents have continued to surrender and hand over their weapons to the troops. According to a statement issued on the Defence Headquarter's (DHQ) twitter handle, 10 more sect members surrendered yesterday to the Nigerian security forces at Kawuri, Borno State, and have since been taken into custody for further interrogation. A blood battle had ensued between members of the sect and Nigerian troops in Kawuri about two weeks ago, leaving over 50 terrorists dead. It is believed that some 40 terrorists including those from Konduga have so far surrendered to the military. However, the unconfirmed death of the Boko Haram leader or his impostor has continued to generate controversy as Camerounian authorities were alleged to have claimed responsibility for the killing of the terrorist henchman. Camerounian authorities yesterday released a photo of a dead man they identified as Shekau, the loquacious and attention-seeking leader of the terrorist group that has launched deadly strikes in Nigeria’s North-east zone as well as Cameroun. But the claim, which went viral, attracted the attention of the Nigerian Defence authorities, which quickly debunked the rumour. The DHQ through its twitter account described the claim by Cameroun as untrue. The military authorities said: “There was no raid whatsoever by Cameroun or any foreign forces in any part of Nigeria’s territory in pursuit of terrorists as claimed in some reports allegedly quoting Cameroun military authorities. Meanwhile, pandemonium broke out at the Federal College of Education (FCE), Yola, Adamawa State, yesterday when some soldiers on patrol shot into the air a few meters away from the institution. The development caused panic in the school and its environs, as students and other passersby were reported to have scrambled for safety. In the melee that ensured, some of the students sustained various degrees of injuries. An eyewitness, who spoke to THISDAY on the issue, revealed that the soldiers were part of the troops drafted to fight the insurgents in Mubi, Michika, Gulak and Madagali of Adamawa State. The eyewitness, who pleaded anonymity, said he was about to board a bus when he and other intending passengers heard sporadic gunshots, compelling them to run for their lives. He said several vehicles were badly damaged in the process of trying to escape from the gunshots. It also led to a traffic snarl in the area and many people sustained injuries, he revealed. “See how our vehicles are now damaged and not one among the soldiers deemed it fit to say sorry, they just zoomed off. Only in Nigeria would you see security operatives firing shots unprovoked. They are just trigger happy,” said Ambrose Anthony, a student of FCE, Yola. Abdulazeez, who sustained an injury, said students were injured while scampering for their lives, particularly female students who were about to enter the college. Reacting to the development, the Public Relations Officer of the college, Mallam Bashir Abdullahi, said the shooting incident did not take place in the college but was nearby. “Yes, we heard that during the show of force displayed by the soldiers, there was shooting into the air. But I cannot confirm whether there was any loss of lives or not,” he said. he did not pick his phones. Nonetheless, security operatives were said to have arrested five suspected members of Boko Haram in the internally displaced persons (IDPs)camp in Yola, the Adamawa State capital. Police spokesman, Assistant Superintendent of Police Michael Haa, confirmed the arrest of some high-risk criminals at the IDPs camp in the state capital. He said the police were yet to unveil the true identity of the suspects, clarifying that the suspects were high-risk criminals and were being investigated. A grainy and gruesome photo has fueled speculation that the infamous leader of the Nigerian terror group Boko Haram is dead, even as the African nation's army presses fighters in the northern territory and the fate of hundreds of hostages hangs in the balance. The military in neighboring Cameroon claims to have killed Abubakar Shekau, the warlord seen earlier this year in a monstrous video vowing to sell nearly 300 kidnapped schoolgirls, and even released a photo purportedly of his corpse. Nigerian security forces are trying to authenticate the report, and officials in the U.S., which has aided Nigeria's hunt for Shekau, declined to comment when asked by Fox News if they are checking into the validity of the image. However, the talks appeared to stall after the Boko Haram members suggested an even swap which the Nigerian government refused, demanding that all the remaining girls held captive be released. The members said they would bring the offer to Shekau's inner circle. Boko Haram was founded in in 2002 in Nigeria's Borno State, where it campaigned, mostly peacefully, for a Shariah state. But in 2009, after founder Mohammed Yusef was executed in Nigeria, Boko Haram took a violent turn, embracing terrorism, forcing conversions of Christians, and orchestrating kidnappings and bombings. In recent years, Boko Haram has emerged as one of the world's most dangerous and violent Islamic terrorist sects. The Obama administration has pledged to help the Nigerian government attempt to rescue the girls, and has assembled a team of military and law enforcement agents to provide logistical support in tracking the group. Noko Haram is believed to be in Nigeria's northeastern Borno State, hiding in the vast Sambisa Forest in northeastern Nigeria. Experts have said the kidnapped girls could serve as human shields, preventing the Nigerian military from bombing the rugged and impenetrable wilderness, as well as becoming the child brides of Shekau's fighters. Aliko Dangote speaks with Aljazeera about his road to becoming Africa's richest man, and the prospects he has for Nigeria and Africa as a whole. Nigeria coach Stephen Keshi has been ranked as the best national team in Africa with the sacked Ghana coach Kwesi Appiah placing second on the continent, in the latest ranking released by a leading coaching statistics agency. Keshi continue to top the poll for coaches on the continent while Appiah leads the pack who are chasing the Nigeria coach as the best in Africa. 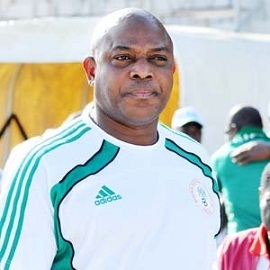 Coaching rating agency, Football Coach World Ranking, named the former Black Stars coach in the 32nd position while Keshi is ranked in the 14th position. This means Appiah has improved by ten places in the ranking as he previously occupied the 42nd position in the last ranking in April while Keshi went up by nine places from his 23rd position in the previous global ranking. The ranking of the top fifty coaches is dominated by coaches who coached at the World Cup with the top 15 almost exclusively for coaches who excelled at the World Cup. World Cup winner Joachim Low of Germany tops the ranking and he is followed by Spain’s Vicente Del Bosque in 2nd place while Oscar Tabarez of Uruguay placed 3rd. The ranking favours coaches who are active in their jobs who those who have been jobless freely tumble down the ranking. He’s the charismatic Nigerian preacher whose prophecies of death and disaster, and improbable claims to cure HIV and Ebola, have brought him vast wealth and a devout following among many of Africa’s most powerful politicians and celebrities. But it’s a disaster that T.B. Joshua failed to prophesize that has gotten him into serious trouble. One of his church buildings in Lagos, Nigeria, has collapsed, killing at least 70 people, including 67 South African pilgrims – the biggest loss of life among South Africans outside the country in recent history. The disaster has shone a spotlight on one of Africa’s most controversial televangelists. The Nigerian preacher has become famous for his estimated wealth of $10-million to $15-million (U.S.), his weekly sermons to 15,000 people, his loyal following from African presidents and prime ministers, and his claim that he prophesized everything from the death of Michael Jackson to the disappearance of Malaysia Airlines Flight 370. Later, the preacher tried to blame the Boko Haram terrorist group, claiming, bizarrely, that a mysterious low-flying airplane had caused the building’s collapse by spraying it with an unknown substance, although officials said there was no evidence of a terrorist link. Instead, there is mounting evidence the building collapsed as a result of poor construction. Three additional storeys were being added onto the original two-storey building when it imploded. Similar collapses have become common in Nigeria, where construction regulations are often evaded, sometimes with bribes. There are also growing allegations Mr. Joshua and the Nigerian authorities have tried to cover up the extent of the disaster. His church officials refused to allow emergency officials to participate in the rescue of survivors until Sunday. Nigerian officials were slow to co-operate with South Africa, even though an estimated 300 South African pilgrims were in the guesthouse when it collapsed. As recently as Monday, three days after the collapse, the South African government was still struggling to find out if any of its citizens were killed. South African diplomats told local media that Nigeria was “completely stonewalling” their investigation. In Nigeria, many people vented their anger through social media, saying Mr. Joshua should not be above the law. But the reality is that he has powerful friends and huge financial resources – enough to get away with a lot in Nigeria. Thousands of his followers are reportedly pressured into donating 10 per cent of their income to him. His disciples have included the presidents or prime ministers of Ghana, Malawi, Zimbabwe, Zambia, Gabon and the Republic of the Congo. He is particularly beloved in South Africa, where his followers include Nelson Mandela’s ex-wife Winnie Madikizela-Mandela, opposition leader Julius Malema and Zulu King Goodwill Zwelithini. Mr. Joshua’s vague “prophecies” have been celebrated by his fans. He gained massive publicity when he said an elderly African leader would die in 2012 – a fairly safe prediction, since so many of the 54 leaders are elderly. When Malawi’s president died, Mr. Joshua was again hailed as a prophet. Medical experts have sharply criticized him for his claim that he can cure HIV, cancer, paralysis and even Ebola. Last month, he sent 4,000 bottles of “anointing water” to Sierra Leone to “heal” people with Ebola. Gunshots and an explosion have been heard at a teacher training college in the northern Nigerian city of Kano. Students were seen fleeing from the city's Federal College of Education. 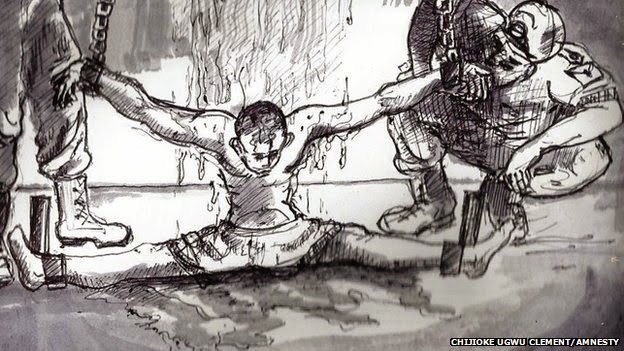 One student told the BBC by phone that he had seen 17 dead bodies at the scene. "Our men are already there. I've called them and they've said the crowd is too big. We are yet to establish the exact number who were injured or killed," a military spokesman in Kano told Reuters. In July the city suffered a spate of five attacks in four days, one of which also targeted a college and killed six people. In May 2013, Nigeria's President Goodluck Jonathan imposed a state of emergency in the northern states of Borno, Yobe and Adamawa, vowing to crush the insurgency. However the militants have stepped up attacks, killing more than 2,000 civilians this year, according to New York-based Human Rights Watch. Boko Haram's name translates as "Western education is forbidden", and it has carried out several attacks on schools and colleges, seeing them as a symbol of Western culture. In April, it raided a boarding school in Chibok town in the northern state of Borno, and is holding more than 200 girls that its gunmen abducted during that attack. A Nigerian IT worker is being sought by police for his alleged role in co-ordinating a £25m ($40m) cyber-theft at a bank in Abuja where he worked. Godswill Oyegwa Uyoyou is being sought by Nigeria's Economic and Financial Crimes Commission (EFCC). A wanted notice claims he helped conspirators dressed as maintenance staff get into the bank so they could use computers to transfer cash. Local reports suggest the theft was spotted when stolen cash was withdrawn. Although no members of the gang have been caught, several are being "tracked", Wilson Uwujaren, a spokesman for the EFCC, told News Nigeria. Details of the robbery are scant but it is thought that Mr Uyoyou and conspirators entered the bank on a Saturday when it was closed and no other staff were working. The IT staffer was key to the robbery, said the EFCC, because of the access he enjoyed to the computer systems at the bank. This was used to siphon 6.28bn Nigerian Naira into accounts of the conspirators, said the EFCC. So far, the bank at the centre of the theft has not been named. The EFCC has issued a warrant for Mr Uyoyou's arrest and he is being actively sought in Nigeria. John Hawes, a computer security researcher at Sophos, said the amount of cash stolen was "unusually large" but the method the gang chose was "all too common". "Insider risk is a major problem for banks," he wrote on the firm's security blog, "they still have to rely on trusted employees to behave themselves, resist temptation and keep their hands off the huge amounts of funds they may find themselves dealing with every day." Following the admission by the Nigerian government that the $9.3 million cash, which was seized by South African customs officials, was legitimate and had the stamp of approval of the Nigerian intelligence community, the federal government has opened diplomatic talks with the South African government to reach an amicable resolution of the incident, THISDAY has learnt. The South African police had on Monday said they had launched an investigation, following the seizure of the $9.3 million cash found stashed in the luggage of two Nigerians and an Israeli who had flown into Johannesburg’s Lanseria Airport in a private aircraft. The money, which was meant for the procurement of arms, was detained and passed on to the South African central bank, because it was undisclosed, undeclared and above the prescribed legal limit for bringing cash into the country, the country’s customs officials explained. However, a source from the presidency, who disclosed the government-to-government talks yesterday to some select journalists, also said the federal government had released data and documents on the arms deal to the South African authorities. The source said following the preliminary diplomatic talks, the Bombardier Challenger aircraft, with US registration N808HG, might have been released to the Nigerian government pending the conclusion of a comprehensive investigation by the South African government. It was further revealed that the high level discussion also covered sharing of vital security information to prove that the deal was legitimate and necessary. The government’s position was said to have been strengthened by the fact that findings revealed that the South African government had only faulted the non-declaration of the cash by the two Nigerian passengers and the Israeli. Speaking on the efforts being made so far to resolve the incident, the source said: “Nigeria and South Africa are getting closer to a diplomatic resolution of the incident over the $9.3 million cash. The two nations have opened up discussions. “The federal government has submitted relevant data and documents on the arms transaction to South Africa and insisted that the transaction was legitimate. “It also clarified that the funds were not laundered or smuggled for any covert activites. No person will be that audacious to fly into a country in a chartered jet with such a huge amount of cash. Based on initial scrutiny of the documents, the source disclosed that the Challenger aircraft has been released to the Nigerian government, pending the conclusion of a full-scale investigation by South Africa. The source further provided clarification on why South Africa impounded the cash, saying: “There was a procedural error at the airport, the team did not declare the $9.3 million contrary to the aviation and customs laws in South Africa. THISDAY further learnt that the ammunition, which was being procured for the immediate prosecution of the war against Boko Haram, included arms and a military helicopter, and was approved by an intelligence office close to the presidency. 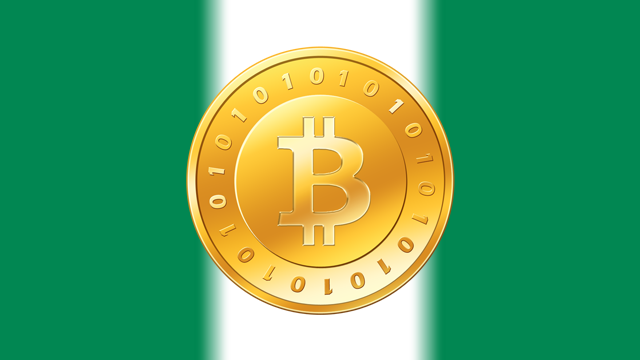 An official in the office informed THISDAY that the matter would soon be resolved and that the decision to use cash instead of routing it through the banking system stemmed from the urgency of the transaction. He said the purchase of arms from countries like the US and other Western nations often take much longer because of compliance issues. As a result, certain security organisations resort to the use of cash for the purchase of ammunition from certain defence equipment manufacturers to speed up the process. Meanwhile, a news report linking the President of the Christian Association of Nigeria (CAN), Pastor Ayo Oritsejafor, with the aircraft was clarified by the cleric yesterday. In a statement by his aide, Bayo Adewoye, Oritsejafor admitted that he owned some residual interest in the company, Eagle Air, but said he was not the operator of the aircraft. In the statement, the CAN president said: “The Word of Life Bible Church has been made aware of the recent media interest regarding an aircraft (Bombardier Challenger 600, Registration No N808HG) owned by The Company Eagle Air in which our Pastor, Pastor Ayo Oritsejafor, holds a residual interest. “We can confirm that although he holds an interest in Eagle Air, the aircraft in question is not operated by Pastor Oritsejafor. He explained that this is standard practice in the industry and advised that any and all enquiries in respect of the day-to-day operations of this aircraft should be directed to the management of Green Coast Produce Limited. He added that he would be happy to help the authorities with any enquiries. In addition, Green Coast, in a statement issued by Dr. Shima Adun said: “A Bombardier Challenger 600 aircraft, Registration No N808HG, was leased to us, Green Coast Produce Company Limited, on the 2nd of August 2014.” Adding that it had since that time been running and managing charter services with the aircraft in accordance and compliance with global best practices. It further revealed that on the 5th of September 2014 the aircraft was hired from us by a John Ishyaku. The charter to John Ishyaku was upon the following documented terms: a) Depart Abuja-Johannesburg on the 5th of September 2014; b) Return to Abuja on the 6th of September 2014; c) To wait and return with the passengers." The said terms are normative within the industry," it added. It went on to state that as with every other aircraft charter company, “our knowledge of the cargo carried on the aircraft was in accordance with the information provided by ABC Limited (name withheld by Gold Coast). “All cargo was accompanied by passengers who could readily defend the contents. We are not and cannot be privy to any alleged extraneous cargo transported on the aircraft other than that declared in the agreed terms of hire. “We are not liable and cannot be construed as a party to any alleged infractions, either in Nigeria or South Africa as he case may be, after the hire of the aircraft. “We issue this statement without prejudice to any statutory or commissioned investigation being conducted or to be conducted in South Africa or Nigeria." In its clarification, Eagle Air confirmed that the said aircraft has since the 2nd of August 2014 been leased to and is operated by Green Coast Produce Limited”, adding that any and all enquiries in respect of the day-to-day operations of this aircraft should be properly directed to the management of Green Coast Produce Limited. However, CAN yesterday deplored comments credited to former Minister of the Federal Capital Territory (FCT), Mallam Nasir el-Rufai, and the All Progressives Congress (APC). In a statement signed by CAN Director of National Issues, Sunday Oibe, the association said: “Our attention has been drawn to the desperation of some elements working for a particular political party within our society to tarnish the image of the President of Christian Association of Nigeria, Pastor Ayo Oritsejafor. “They are working for the All Progressives Congress and they are not unknown to us. Let Nigerians have this background for them to judge themselves”. Oibe said: “These shameless characters including a former Minister of the Federal Capital Territory (FCT), Mallam Nasir El-Rufai, and National Publicity Secretary of All Progressives Congress, Alhaji Lai Mohammed, went to the UK to embark on an image laundering for their political party, the APC. “El-Rufai had once said there are three sets of Boko Haram in Nigeria: Islamic Boko Haram, Politicians’ Boko Haram and Christians’ Boko Haram which he said are being funded by President Goodluck Jonathan and coordinated by CAN President, Pastor Ayo Oritsejafor. “He went further to claim that the CAN president has been given N50 billion by the president and a jet. Explaining further, CAN restated that the aircraft is owned by Eagle Air but was leased to Green Coast. “They lease this aircraft and people rent it from them. Anybody in this country will attest to the fact that Pastor Ayo Oritsejfor has been following Chartered Airlines," he said. Recalling the alleged antics of the former minister against Christianity, Oibe stated that el-Rufai and his group had met and decided to blackmail Oritsejafor because he is an ardent supporter of President Goodluck Jonathan. “This, he did, to elicit sentiments from the society. We want Nigerians to ponder over this: if Nigeria wants to buy arms, the government knows where to get their weapons. How did Pastor Ayo Oritsejafor come into this?" He asked. In a related development, Konduga, the Borno State town where over almost 200 Boko Haram terrorists met their waterloo last week was again turned into a battle ground last night as the terrorists returned for a fresh face off with soldiers, security operatives confirmed. Sources within the said that the insurgents had come to exact revenge following the heavy casualties they recorded last Friday. A military source added that the attack started about 7pm, even as he said the soldiers were engaging the terrorists in a deadly shootout. “From the information we have so far, the insurgents were armed to the teeth. They have mortars, anti-aircraft missiles, rocket propelled grenades, assorted guns and an armoured personnel carrier. “Our men are engaging the terrorists. Their ultimate target is to subdue our men in Konduga so that they can advance to Maiduguri,” he said. The death toll rose to 60 by Tuesday afternoon from the fallen multistory building serving as a shopping mall and guesthouse at the sprawling campus of televangelist T.B. Joshua's Synagogue, Church of All Nations, on the outskirts of Lagos, Nigeria's commercial capital, according to spokesman Ibrahim Farinloye of the Nigerian Emergency Management Agency. It is not known how many foreigners are among victims at the church that attracted people from around the world to experience the evangelical Joshua's preaching, prophecies and faith healing and to get his blessed water that some say has miraculous powers. South Africa's government said its diplomats are at the scene since at least five South African church tour groups were there at the time. Joshua has tried to implicate Islamic extremists in the building collapse, publishing a video purporting to show a mysterious aircraft flying low over the building four times before the disaster. He told a televised service Sunday that his church has been targeted before by Nigeria's homegrown Boko Haram extremist group. He told congregants that enemies were trying to keep them from his church, but not to worry since he was the main target. Farinloye, however, said the building appears to have collapsed because of poor construction work. He said workers were trying to build two additional floors onto an existing four-story structure without reinforcing the foundations. Nigeria's construction industry is bedeviled by endemic corruption that sometimes leads contractors to take short cuts and use substandard products that lead building to collapse quite frequently. Boko Haram fighters are well armed and determined. Having been brainwashed with extremist ideology, many are likely to have little fear of death. So the Nigerian soldiers sent to the battered north-east have a difficult fight and need to be well resourced. But there have been numerous reports of low morale amid calls for better arms and even complaints over pay. Soldiers' wives recently demonstrated in the barracks in Maiduguri in an effort to stop their husbands being sent to the front line. Shooting at your own commanding officer is an extreme reaction to seeing the bodies of colleagues killed in an ambush and it would lead to a severe punishment in any army. But it is just one sign of the problems undermining the fight against Boko Haram. President Goodluck Jonathan has promised that better equipment is on the way but given that Boko Haram has been growing for several years, why were the billions of dollars earned from Nigeria's oil industry not spent on giving every soldier the best chance of defeating the enemy and staying alive? South African police are investigating two Nigerians and an Israeli citizen who tried to bring $9.3 million in cash into the country illegally. According to Reuters, there are suspicions that the money could be meant for arms. The Nigerians, coming from Abuja, were not identified. The private jet, a Bombardier Challenger 600, had a Nigerian flight crew on board. It was piloted by Captain Tunde Ojongbede, according to South Africa’s City Press newspaper. Customs officers had become suspicious when the passengers’ luggage was unloaded and put through the scanners just after 7pm. The officers then investigated and found three suitcases full of cash. The passengers apparently told officials they were acting on behalf of the Nigerian intelligence service. They provided documentation confirming they had come to South Africa to buy weapons. It is not clear whether the Israeli passenger was an intelligence operative or an arms dealer. The National Conventional Arms Control Committee, which has to approve the import and export of any weapons as well as issue permits for such transactions, was not aware of any applications in this case. The South African Revenue Service (SARS) seized the funds at Lanseria airport, northwest of Johannesburg, on September 5. The funds are being held at the central bank as police investigate, SARS spokeswoman Marika Muller said. “The passengers’ luggage was searched after Customs officials detected irregularities. The money was detained as it was undisclosed/undeclared and above the prescribed legal limit”, Muller said in a statement. South Africa’s City Press newspaper reports that bundles of unused $100 bills packed in three suitcase were transported in the small business jet from the Nigerian capital, Abuja. South African airport security spokesman Solomon Makgale confirmed a police investigation was underway but declined to give details. The Nigerian military said on Sunday one of its fighter jets that was operating in a northeast state where the armed forces are fighting Islamist Boko Haram militants had gone missing. A search and rescue operation was underway for the Nigerian air force Alpha jet which was on a routine operational mission on Friday over Adamawa state when contact was lost with the aircraft, the Nigerian armed forces said in a statement. The statement gave no more details and there was no other information available on whether the plane, which had left an air base at the Adamawa state capital Yola and had a crew of two, had crashed or been shot down. Nigeria's military, backed by war planes, has been fighting to push back recent advances by Boko Haram into the north of Adamawa state and also towards Maiduguri, the state capital of neighboring Borno state. The army said it beat back an attack outside Maiduguri on Friday. Boko Haram, which has killed thousands since it launched its anti-government insurgency in the northeast in 2009, has in recent weeks captured and held a string of towns and villages in the region, a departure from its usual hit-and-run tactics. Its leader Abubakar Shekau is apparently trying to follow the example of Islamic State in Iraq and Syria, which has declared its own caliphate. Nigeria's government has vowed to take back the seized territory from Boko Haram.